The Economics Department is excited to announce we are recruiting for three senate faculty positions in International Finance/Open Economy Macroeconomics, Environmental/Economics and Accounting. Each position is available July 1, 2016, with the academic year service beginning September 2016. We invite applications from qualified candidates who specialize in international finance and open economy macroeconomics for a position at either the assistant professor (tenure-track) rank or the associate professor (with tenure) rank. 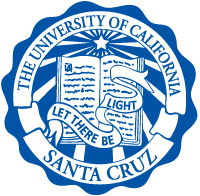 The full position description and application instructions may be found at http://apo.ucsc.edu/academic_employment/jobs/JPF00297-16.pdf. To ensure full consideration, applications must be completed online by Tuesday, December 1, 2015. We invite applications from qualified candidates who specialize in in environmental and/or natural resource economics for an assistant professor (tenure-track) level position. The full position description and application instructions may be found at http://apo.ucsc.edu/academic_employment/jobs/JPF00303-16.pdf. To ensure full consideration, applications must be completed online by Tuesday, December 1, 2015. We invite applications for a teaching professor in accounting (lecturer with potential security of employment). The full position description and application instructions may be found at http://apo.ucsc.edu/academic_employment/jobs/JPF00300-16.pdf. To ensure full consideration, applications must be completed online by Monday, February 29, 2016.